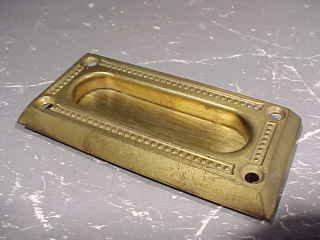 Price Is For EACH Of These Old Unused Stock Window Lifts - Solid Stamped Brass With A Nice Mellow Brass Tone - Appx. 3 1/2" x 1 3/4" - Attractive Beaded Design Around Top Rim - 18 Available - Purchaser Pays Shipping. Items Similar To "Window Lifts"